I'm a San Diego native that has a love for the ocean. I spent 15 years in aviation (Pilot, Airport Management), and decided to follow a neglected passion of mine, film making. I started a YouTube Channel a while back, and have been making short surfing films to sharpen my talent. I began filming with a broken tripod, a second hand Canon T3i, and a zoom lens my family got me for my birthday. With more people watching my videos, and continually getting feedback from them saying "You should try using a drone in your videos". Arm twisted, so I purchased a drone. 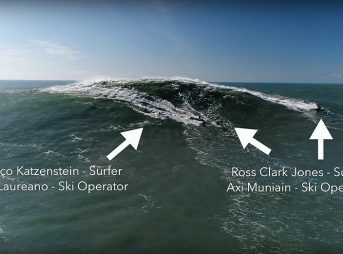 My drone has added another prospective, and captured some incredible angles never seen before in the surf community (especially the Body Surfing community). Secretly, I just wanted an excuse to fly a drone. 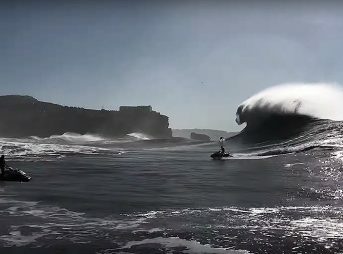 I was never the only kid in town using a drone to film surfers. However, experimenting with new angles and altitudes, I've started to separate my work from an already competitive environment of surf cinematographers. I've had a lot of great opportunities to film, and now write about, some of the greatest athletes the world has never heard of. The people I've been filming are regular people with incredible talents. It's these people that revolutionize the way we think, and dream the impossible. I hope you enjoy my videos, and I really look forward to providing you all with great content. 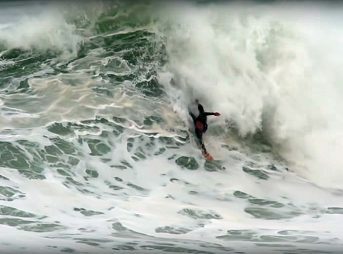 Deconstructing a Near Disaster at Nazaré; Who Really Had the Right of Way? Does Anything Look As Fun and Rippable As Coxos Right Now?